Commercial roofs aren’t simply shingles on top of the structure. They have special coatings, membranes and layers that help the roof stay clean and safe from the elements. The process of either installing or restoring this type of roof is deceptively easy, but it requires the right technique and steady hands to pull off. As a provider of roofing maintenance services, let us give you an idea of what makes the process difficult. When you look at a commercial roof, the first thing you’ll notice is the flat or low-sloped pitch. That’s because it would be expensive to build and install higher pitched roofing. A consequence of that is, it needs more maintenance. Even with frequent cleaning and inspection, the material will suffer from wear and tear eventually. That’s why these roofs use roof restoration coating. Some are made of minerals like silicone, while others are applied on built-up membranes. Whichever technique is used, they are all made with water-resistant and weatherproofing properties. A select few even come with additional benefits, like reflective surfaces for heat- or impact-resistant strength. Whether it’s for installing or repairing a roof, these coatings need to be applied properly. This can be a quick process that could be done within a couple of days. But there has to be a proper way of doing this in order to ensure the coating does its job well and for a long time. When restoring your roof coating, we will first power wash the surface. After that, we will then apply the new coating with either a spray or a roller. In some instances, we may also apply a primer before applying the coat. 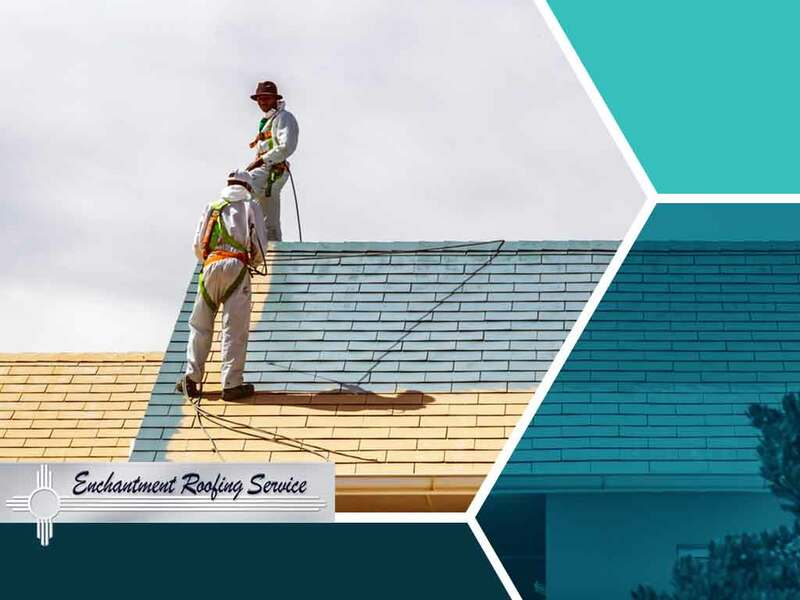 In this manner, Enchantment Roofing and Construction can give you an emergency roof repair so you don’t have to worry about a long, drawn-out repair period. We maintain and replace roofing systems, apply roof coatings and install gutters and spray foam insulation. We have been in the industry for 20 years, and we’ve helped many clients in Santa Fe, NM, and the surrounding areas. Call us at (505) 780-4616 to schedule your inspection and get a free estimate for services.